So a woman goes into the doctor's office, three weeks after her husband died. I got through the funeral just fine. But now I feel awful. There is this ten ton weight on my chest. I'm exhausted; I don't have the energy to wash the dishes. I'm trying to pack up my husband's things, and I am too weak to pick up his shoes. I can't eat. Sometimes I get hit so hard with this wave of anxiety, I think I'm going to throw up. What are the chances the doctor will say, Of course you feel awful. These are all very natural symptoms of grief. You just need time. 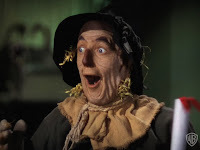 But if you still feel like this a month from now, call my nurse and set up an appointment. What are the chances the doctor will not pull out the stethoscope and listen to her chest? Answer: It depends on whether the doctor is stupid. These are classic symptoms of heart disease. There is significant overlap between the symptoms of heart disease and the experience of grief. But there is no Bereavement Exclusion for a diagnosis of heart disease. Instead, family physicians and cardiologists take the time to examine whether the person presenting these symptoms may have both. Grief and the symptoms of Depression overlap, as well. But the DSM withholds a diagnosis of Depression until the symptoms have persisted for two months. What about the widow who has both grief and Depression? Widows are supposed to suffer? Okay, maybe that is harsh. The difference between the cardiologist and the psychiatrist is the stethoscope. There are loads of bio-markers for heart disease, tests that doctors can run, physical evidence they can gather. Psychiatrists diagnose diseases of the brain mostly by reading tea leaves. There actually are bio-markers for Depression. We know some of them. They just don't use them in diagnosis. The thing is, the science of Depression has not yet progressed to the blood pressure, catheterization, Echo, MRI, EKG, CT scan... stage. With heart disease, if your MRI shows a blocked artery, chances are pretty good you have a blocked artery. With Depression, only some who have the requisite five out of nine symptoms test positive for any given bio-marker. There is not enough consistency to develop the definitive test that has made its way out of the lab and into the doctor's office. But did you notice? There isn't just one thing called heart disease. There are a whole bunch of different heart diseases, and a whole bunch of tests to determine which one you have and which treatment strategies might work. You wouldn't know it from the DSM, but with Depression, there are a whole bunch of depressions, too. I am not talking about recurrent, mixed, anxious, cyclothymia, etc. I mean different brain dysfunctions that all get coded 296.3whatever or 296.2whatever. That's why we can't identify Depression with one test. We need a whole bunch of tests. Okay, here it is -- my take on the subject, after coming on seven years reading and three years blogging. There is no disease called Depression. There is a cluster of symptoms resulting from disruption of mental, emotional, metabolic and circadian systems, all identified by one word Depression. Ken Duckworth, medical director of NAMI, says the DSM identifies symptom silos. If you have enough symptoms on a particular list, or in a particular silo, then you get the diagnosis. I am going with Junk Drawer. I don't know if any diagnosis has better claim to the title of the DSM's Junk Drawer than Depression. Any given medication helps at best 40% of the people who take it, with placebo coming in at 30%, meaning that only 10% get any benefit from these powerful chemicals that they couldn't have gotten in some less harmful way. But if you aren't one of the lucky 10% for this drug, maybe you will be with the next. Now that Big Pharma has run its trials, jiggered its results, made its mega-bucks, and lost its patent protections, it has departed the field, leaving scientists to start over, trying to figure out what causes Depression. But all sorts of things are going wrong in the brains of people with Depression, different things with different people. No wonder the meds work so seldom. If your med matches your disease, you just got lucky. So what is inside this junk drawer? How about we start with something that isn't in the drawer -- thyroid disease. People with thyroid disease fully meet the diagnostic criteria of Depression. Only there is a blood test for it. And before your family practitioner diagnoses Depression, he/she orders the blood test. So if we find out that the symptoms of Depression are caused by thyroid, then it isn't Depression anymore. It's Thyroid. So thyroid disease has been taken out of the junk drawer and put elsewhere. Some day we will do a blood test for cortisol levels. If your cortisol levels are out of whack, you won't have Depression anymore. You will have Disregulated HPA Axis (probably caused by genetic predisposition and set off by trauma, and treated with stress management techniques, maybe beta-blockers or an anxiolytic med). If your GABA/glutamate balance is out of whack, you won't have Depression. You will have an Amino Acid Imbalance (which may respond nicely to Omega-3 supplements). If you are micronutrient deficient, you might be diagnosed with Distressed Mitochondria Syndrome and put on the Wahl's Diet, which will enhance the effectiveness of your BDNF, with lower relapse rates than stimulants like Prozac and Cymbalta. Then there's General Inflammatory Disorder, which may be resolved with the Mediterranean diet, or perhaps need an assist from an NSAID. Or maybe your DNA markers lead your doctor to suspect a Malfunctioning Pineal Gland and put you on a strict daily routine. Are you following this? Right now we just hit everybody over the head with a chemical sledge hammer, and then they feel so much better when they quit treatment. As we develop the bio-marker and associated test for each condition, one more diagnosis will be taken out of the junk drawer, put in its own more appropriate place, and given its own more appropriate and more effective treatment. When that happens, I can stop ranting and write a new book, Bar Tales of Costa Rica. Which is much more fun to research! Grief and Depression are not the same. It is perfectly possible to distinguish between them. It is perfectly possible to determine whether somebody has both. And if so, it is good medicine and great kindness to treat the Depression. Some bio-markers would come in handy here. Are you ready for this? There hasn't been much research done in this area. Of course not. Arif Najib et al researched Regional Brain Activity in Women Grieving a Romantic Relationship Breakup. Evidently, it's hard to recruit research subjects at the funeral home. Fair enough. So they approximated the experience of loss. Their subjects were women who did not meet the criteria for Depression before the relationship ended, nor experienced the appropriate variety of psychiatric complications that would influence the results. They had been in non-abusive relationships for at least six months. One to four months later, they were still feeling sad and ruminating about their ex. Check out the link above for the details of which brain parts are more active and which less active in which populations. The short version: There are ways that the brains of persons who are sad, bereaved or depressed all look the same. There are ways that the brains of persons who are sad and those who are grieving look different; the bereaved brains look more like depressed brains. 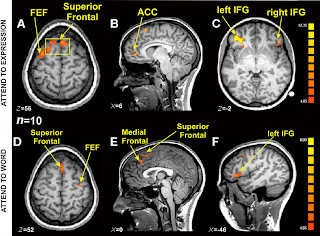 There are also ways that bereaved brains look different from either sad or depressed brains. But - and this is the most important part today - there are ways that the brains of bereaved persons and depressed persons look different. Okay, that wasn't short enough. Here it is in diagrams. WRONG. People think grieving is more sad than simple sad, and less sad than depression. But when you look at what is happening in the brain, this is NOT the way it works. Sadness is NOT grieving-lite. Grieving is NOT depression-lite. The graphic below is the RIGHT one. 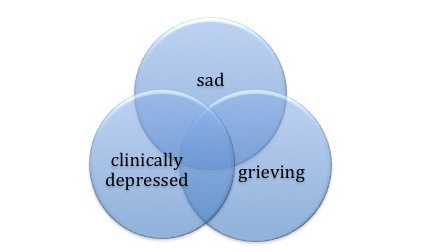 Sad, grieving and clinically depressed overlap. They do not exist on a continuum. But sometimes they CO-OCCUR; they pile on top of the other. People with Depression need treatment. Widows and widowers who show up in the doctor's office (and hardly any do) deserve doctors who take the time to pull out their stethoscopes, both the heart disease sort and the DSM sort. People who are grieving sometimes need medical or psychiatric care for conditions such as heart disease and Depression, both of which can disguise themselves as normal grieving, but which have more serious consequences and are less likely to go away without treatment. That's all. That's why the Bereavement Exclusion is wrong-headed, why it does not exist in the International Classification of Diseases (ICD-10), and why it needs to be deleted from the DSM. Okay, I've got a bit more. Many who want to retain the Bereavement Exclusion fear that treatment for Depression will interfere with the natural and important grieving process. There simply is no evidence to support this fear, and indeed, there is evidence that contradicts it. Let's remember the red herring now. Treatment does not automatically equal medication. If for any given doctor it does, then all of that doctor's depressed patients are receiving bad medicine. I don't suppose this discussion will ever move beyond the knee-jerk level until people get past this point. The best treatment for mild and moderate depression includes psychotherapy, exercise, attention to sleep patterns, peer support, education, healthy diet. Any and all of these are as or more effective than antidepressants for mild and moderate depression. The doctor who pulls out the prescription pad to speed his/her day along is practicing bad medicine, and simply needs to stop. There is nothing in the DSM IV and nothing in the DSM V that recommend antidepressants as a first line treatment for Major Depression. That's the sales reps talking, not the scientists. People who have Depression do not grieve better. They grieve worse. 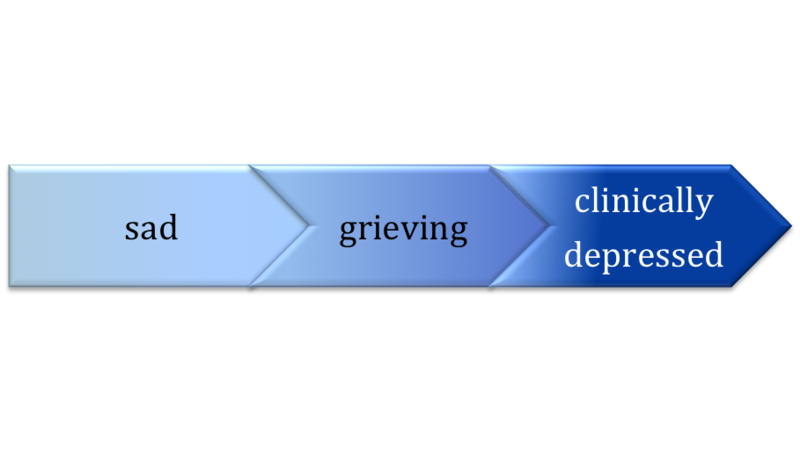 In the normal bereavement experience, the loss is gradually integrated into the person's social and emotional life. They turn to friends, or accept the offerings their friends make, re-forming these relationships in the absence of the departed. People with Depression simply withdraw. In normal bereavement, people remember the good times, the bad times, the funny stories, what was important. People with Depression are engulfed in a cloud that blocks out all but darkness and despair. In normal bereavement, people gradually re-imagine their future. People with Depression have no a future. Treating Depression returns the capacity to do normal grieving, to be with friends, to remember fully, to plan and dream again. A provocative study of Deep Brain Stimulation (DBS) provides further evidence that grief and Depression are not the same. **I am not recommending this procedure**, which is used experimentally for the most resistant depressions. I am simply noting the evidence that has come from it. The FDA has approved a device that works like a brain pace-maker, implanted in the brain and emitting periodic electrical impulses for people suffering from Parkinson's Disorder. It is being used experimentally on people with the deepest, most intractable depressions which have not responded to any other treatment modality. Again, I am not recommending this procedure. But I do recognize the desperation of depression this deep. 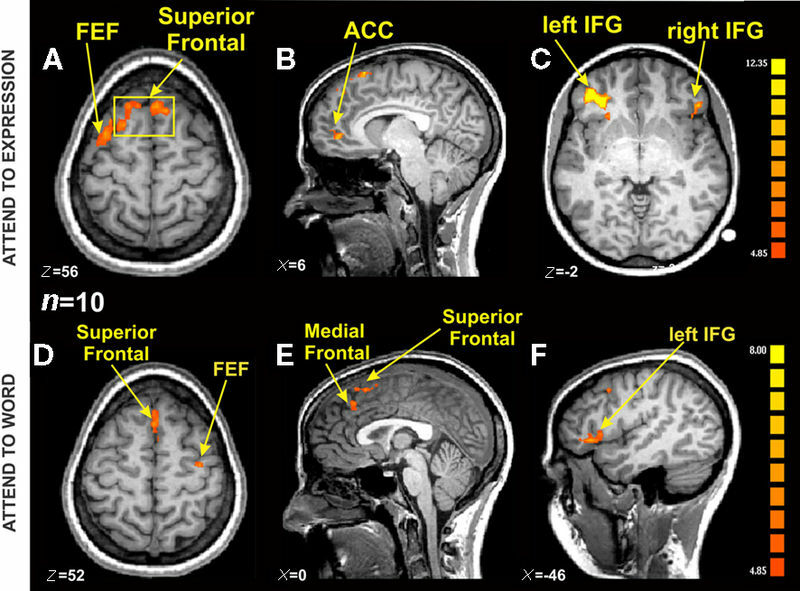 In one pilot study, the device was implanted in the subgenus cingulate region (Brodmann area 25 - an address becoming rather well known in depression study circles). Not only did these persons experience swift, robust and lasting relief, but they also returned to a full range of emotions, including normal sadness or, as Zorba the Greek put it, the full catastrophe. That is the goal of treatment for depression, the ability to feel every normal emotion, including the deepest grief. Consider this. People who are both bereaved and have depression need treatment for the depression, so they can get back to their grief! I want to thank Dr. Ronald Pies for his contributions to this field and the generosity of his time to Prozac Monologues. He is currently working on a diagnostic scale that would help doctors in a hurry figure out if they need to investigate more thoroughly a diagnosis of depression. I hope to put that scale up as a page on this blog. I have my own knee-jerk reflexes. I can give Dr. Pies no higher praise -- he has made me think. Grief? Depression? Both? January 28, 2012 -- The contexts of DSM revision debate over the Bereavement Exclusion: health care costs, the DSM and the inadequacy of symptom silos, the mind/brain debate, poor health care for the bereaved. My name is Wendy Love and I appreciate your blog and subscribe. I have linked to your blog on mine and am asking if you would be willing to do the same? Would you consider me for a guest post sometime?